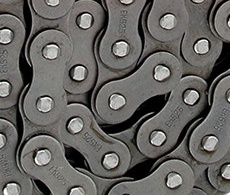 We offer drive chains in 525 530 and 630 sizes for most vintage to modern Japanese motorcycles. 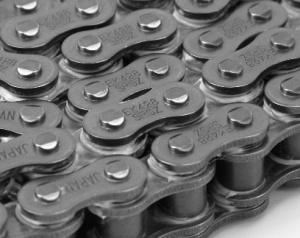 We carry KMC, DID, RK, and Regina chains in both heavy duty non O-ring and heavy duty O-ring styles. Scroll down to find the chain you need. • Patented “Z” ring section. • The Z-ring flexes when assembled, creating a spring effect that guarantees the seal will not diminish over time. • The special Z-ring section provides enhanced chain flexibility. • The lubricant trapped between the plates and the lobes of the Z-ring keeps the ring lubricated and increases its life. 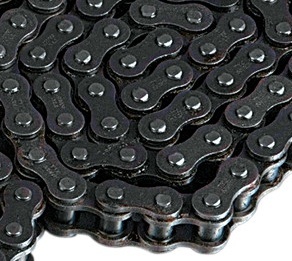 ZR chains are the best choice for the most severe and demanding applications. 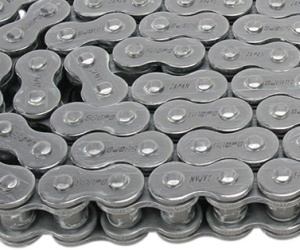 Among other characteristics, the ZR chains feature high alloy steel plates and pins, solid bushings and rollers, shot-peening of plates, pins and rollers, performance-enhancing pre-stretching and “gold” outer plates.